There’s always been a noticeable lack of unambiguously gay characters in Disney movies, even as the company has moved towards greater diversity in its famous princess characters. That lack is the reason for things like “Give Elsa a Girlfriend.” So, finally, Disney will have a gay character in Josh Gad’s LeFou. 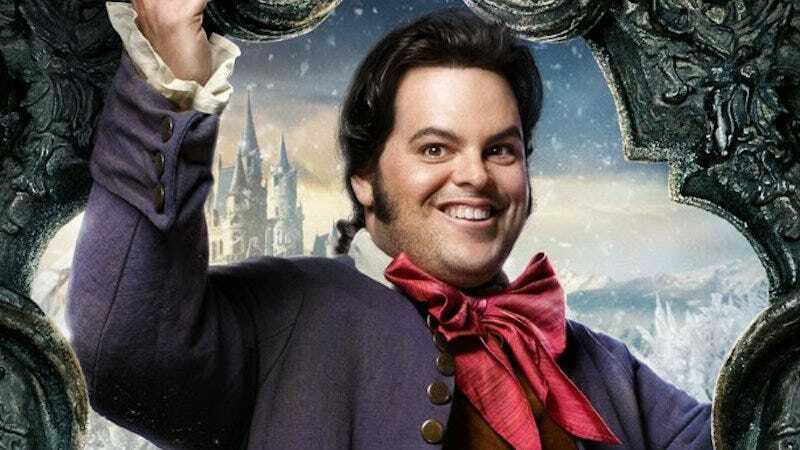 LeFou is somebody who on one day wants to be Gaston and on another day wants to kiss Gaston. He’s confused about what he wants. It’s somebody who’s just realising that he has these feelings. And Josh makes something really subtle and delicious out of it. And that’s what has its payoff at the end, which I don’t want to give away. But it is a nice, exclusively gay moment in a Disney movie. There’s bound to be a lot of speculation and commentary about this move before and after the film comes out. The clip we got this week of Gad singing “Gaston” as LeFou came across as very camp. And the changed lyrics mentioning Gaston breaking hearts takes on a whole new meaning with this new information. All of that opens up charges of LeFou being a stereotype, except we’ve seen literally less than a minute of the character. Condon is an openly gay man, so at least the person in charge of this character isn’t a straight person doing their best guess at “gay” based on stereotypes. So we’re probably going to have to wait and see what the “payoff” at the end is. That said, at least Disney’s finally made this step. It’s always baby steps with them.